Does a Minor Need to Pay Taxes If They Have a Job? Teen jobs provide young people with more than just work experience. These jobs are usually their first introduction to the world of taxes, and it’s eye-opening for a lot of them when they realize how much of their earnings go to federal, state and local governments. As of 2018, only teens earning more than $12,000 must file a tax return. Teenagers are subject to the same laws as adults when it comes to paying taxes on earned income. However, that amount has changed significantly, almost doubling under the new tax law going into effect for 2018. Even if teens don’t make enough money in earned income to file a tax return, if they have unearned income in the form of interest and dividends, that amount combined with earned income could prove enough to make filing taxes a necessity. An employer will give a teenager a Form W-4 to fill out so taxes are withheld. It is possible to have an under 18 tax exemption if the teen has never had any previous federal tax liability and doesn’t expect to have such a liability in the current year. In that situation, the teen only fills out lines 1 through 4 and line 7 on the W-4 and signs it. While income taxes aren’t withheld from the paycheck, he’ll still have funds withheld for Social Security and Medicare. If he does expect to incur a tax liability this year, he can claim either zero or one exemption on the W-4. While more tax is withheld if he claims zero exemptions, he’ll get more money back in a tax refund. Some employers may try to get around putting a teenager on the payroll by hiring her as an independent contractor, making the teen self-employed for tax purposes. The teen may have her own small business, such as lawnmowing or pet sitting, and in either case will have to pay her share of Social Security and Medicare rather than have an employer pay it. The teenager doesn’t have taxes withheld from a paycheck, but she is responsible for paying taxes and may even have to do so quarterly. A teen’s share of the self-employment payment for Social Security and Medicare is 15.3 percent, so she must put that amount aside to pay the tax. The Tax Cuts and Jobs Act, signed into law by President Donald J. Trump on December 22, 2017, could have been called the Taxes for Teens Cuts, because one of its major provisions eliminates the need for most teens to file income taxes. The standard deduction was raised to $12,000 per person, so any teen earning less than that amount does not have to file an income tax return. For 2018, the unearned amount of income that requires reporting on a minor’s income tax remains the same as in 2017 at $1,050. In 2017, any teenager earning more than $6,350 must file an income tax return. If the child also has unearned income exceeding $1,050, or the amount of his earned and unearned income exceeds $6,350, he must file an income tax return. 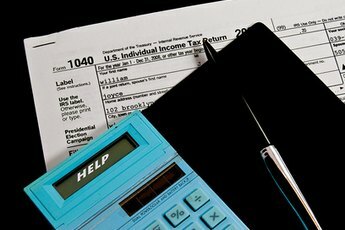 Who Must File Income Taxes with the IRS? Do You Need to Work to File Taxes? 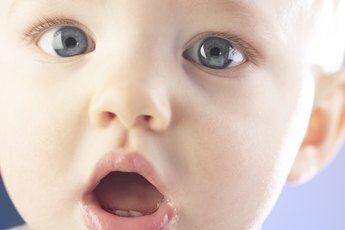 Can I Put Down a Relative as a Baby Sitter for Income Tax?